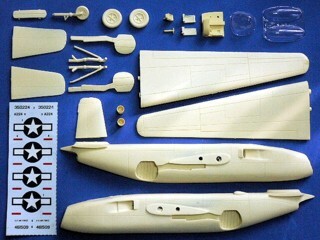 Each model kit contents one set of canopy and one sheet of decal. Extra accessories of the canopy and decal can be side-order. In 1944, as the successes of the Reich's jet fighter and bomber projects, the USAAF defined requirement for the first American jet bomber development urgently. Douglas proposed to modify the existing XB-42 airframe, then repaired the piston engines with a pair of turbojets for saving time and cost. The contract for two prototypes that designated XB-43 was signed, 50 productions program were also planned in the same year. By the early engineering problems, the jet engines were not shipped from GE to Douglas until July 1945. The end of war caused a slowdown of the jet bombers development. 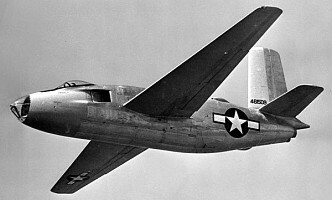 The first XB-43 finally made its first flight on May 1946. Performance was satisfactory but the USAAF had moved ahead with the new four-engines bombers, the North American B-45 and the Convair XB-46. The 50 productions plan was cancelled but the test program was still continued until 1951 when the first XB-43 damaged in an accident. 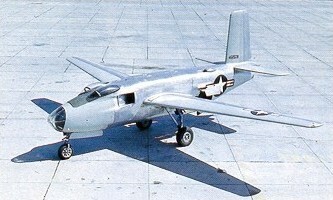 In late 1953, the second prototype was also retired. 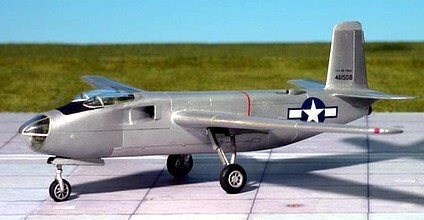 The Douglas XB-43 Jetmaster is suitable to group with the following collection series.